Stainless Steel Pineapple Slicer and De-Corer Only $3.76 PLUS FREE Shipping! You are here: Home / Great Deals / Amazon Deals / Stainless Steel Pineapple Slicer and De-Corer Only $3.76 PLUS FREE Shipping! so hard to eat though is the process to which you need to go through to cut them up. This Stainless Steel Pineapple Slicer and De-Corer is Only $3.76 PLUS FREE Shipping! 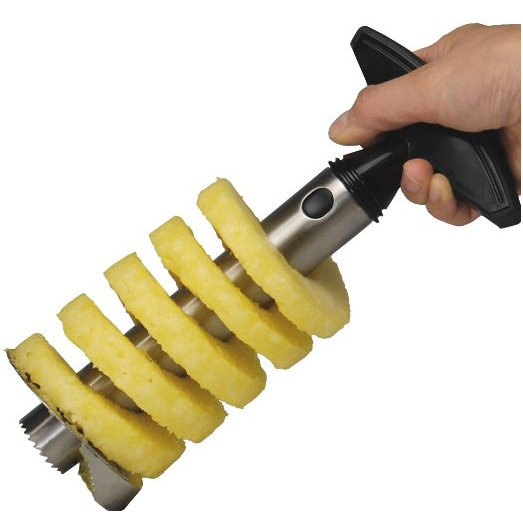 No more wasted time cutting up a fresh pineapple!